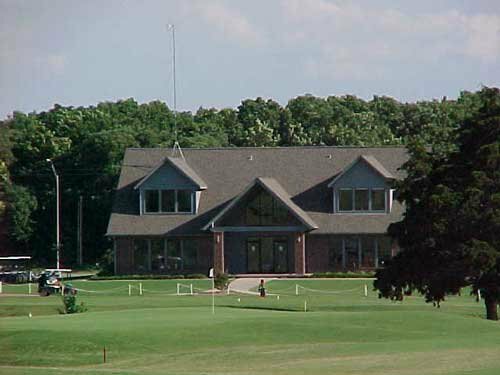 The Cimarron National Golf Club in Guthrie is a 36-hole course with driving range, two putting greens, chipping green, pro shop, golf carts, full service restaurant and bar, banquet rooms and meeting facilities. This club offers two eighteen hole courses, both of which play through canyons. The club also has a PGA professional on site. The Cimarron National Club features many elevation changes. The fairways are narrow, and water hazards come into play on fourteen holes. The greens are large and extremely fast. The most difficult hole is 15, a 451-yard, par 4. The Aqua Canyon Course is hilly on the front nine and has many trees that can alter your shots. The back nine has open fairways, but is severely mounded. Water comes into play less frequently on the back nine. 6 miles E of Hwy 74 on Hwy 33. 6 miles W of I-35 on Hwy 33.